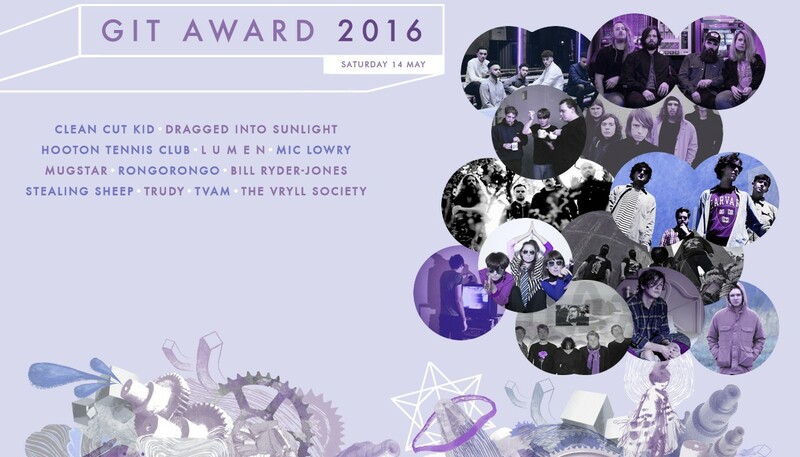 The GIT Award 2016 shortlist has been revealed, ahead of the celebration at Constellations on May 14, Getintothis’ Adam Lowerson and Peter Guy profile those in contention for the £1000 cash prize. 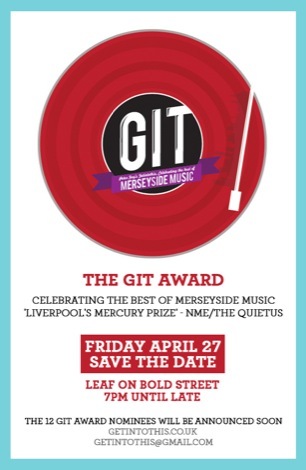 The GIT Award champions the best new Merseyside music providing a snapshot of the year while recognising significant artistic achievement across a range of musical styles. 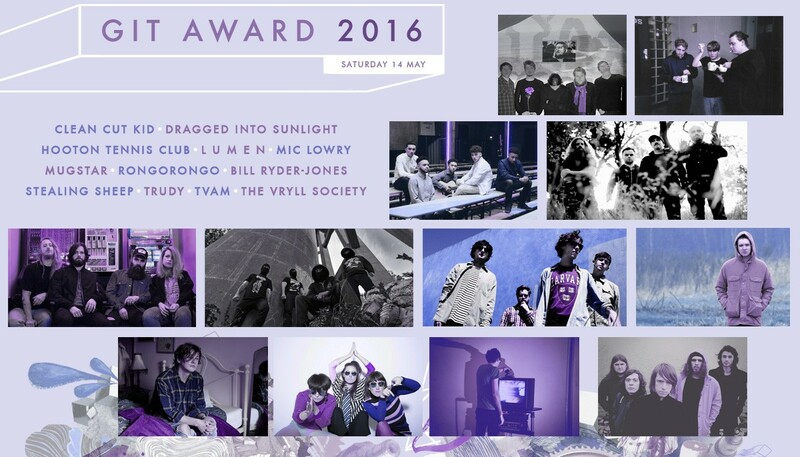 Ahead of the spectacular fifth edition event, held this year at Liverpool’s Baltic Triangle venue Constellations on May 14, we profile those in contention for the main prize and the £1000 cheque. Though Clean Cut Kid’s success appeared to spring out of nowhere, the reality is quite the opposite. Performing and writing under a number of guises, husband and wife duo Mike and Evelyn Halls finally found the winning formula with bandmates Saul Godman and Ross Higginson and released the soulful pop infused Vitamin C and Twenty Years From Now to rapturous reception. Grabbing the attention of Radio 1, they were quickly snapped up by Polydor Records before going on to summer performances at Latitude Festival, Secret Garden Party plus headlining the BBC Introducing Stage at Reading Festival as well as support slots with the likes of Years and Years, Shura and Rat Boy. Having played New York’s CMJ and SXSW in Austin, Texas they’re ready to make the summer festival season their own. 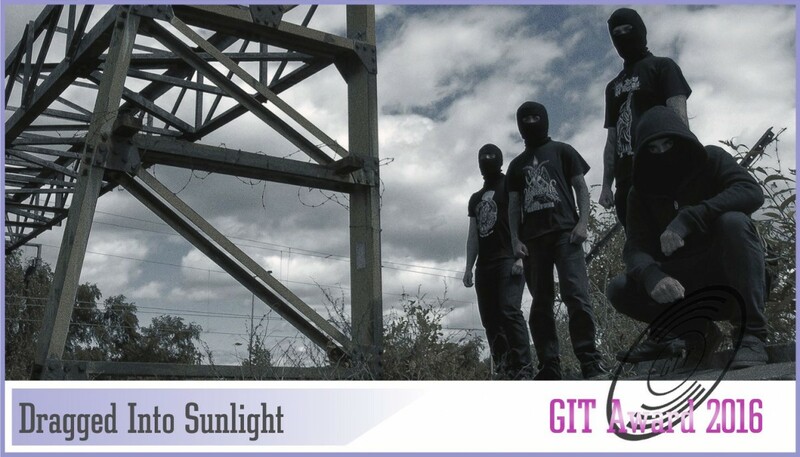 At the forefront of Liverpool’s metal scene, Dragged Into Sunlight are a mysterious, balaclava clad four piece who specialise in what they describe as extreme metal. Known for performing with their backs to their audience, and having released tracks such as Lashed To The Grinder And Stoned To Death, the band made up of members named only by letters, T, A, C and J, are not for the faint-hearted. Their 2015 collaborated album with Gnaw Their Tongues, NV, was released on Prosthetic Records and gained widespread critical acclaim from the likes of Metalhammer and The Quietus. Having devastated crowds at Damnation Festival and Maryland Deathfest, Dragged Into Sunlight have spent much of 2016 on tour across Europe and the USA pulverising critics and fans alike with their sludge and black metal combination. 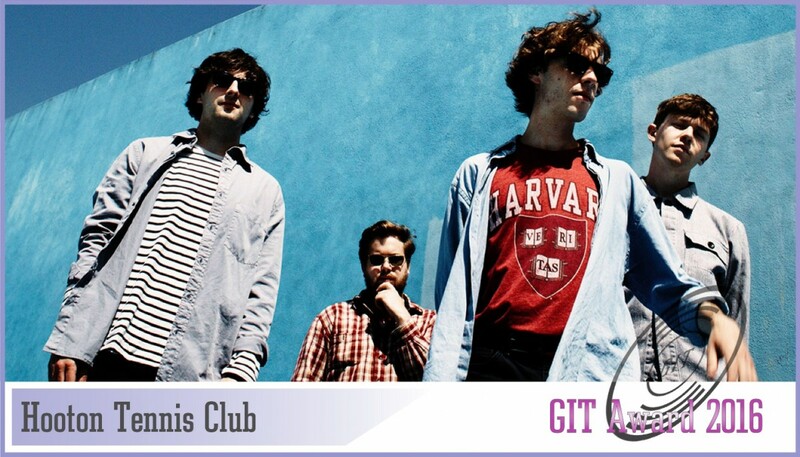 Nominated for the GIT Award for the second year in a row, Ellesmere Port’s Hooton Tennis Club have enjoyed a huge 12 months since their signing to Heavenly Recordings in early 2015. 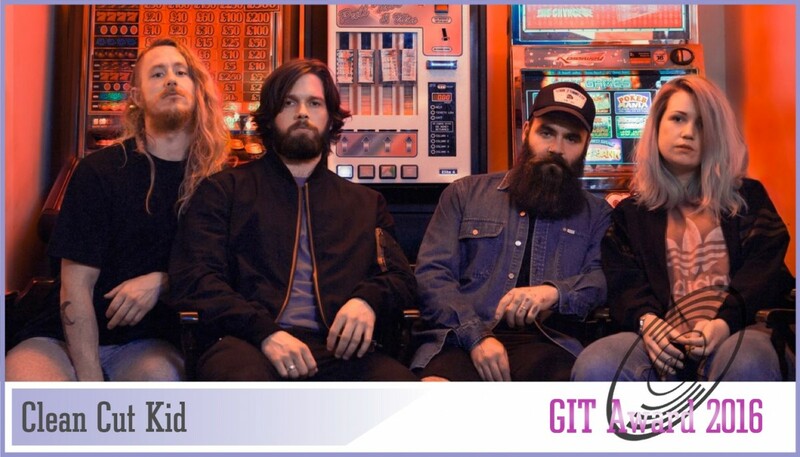 Since the release of their first single on the label in Jasper, which gained them recognition from the likes of BBC 6 Music’s Lauren Laverne who named it one of her favourite tracks of the year, Ryan Murphy, James Madden, Callum McFadden and Harry Chalmers haven’t looked back. Their debut record Highest Point In Cliff Town was later released to high acclaim from across the music press before the four-piece embarked on a UK, European and US tour, culminating in one of the final shows at the Kazimier. 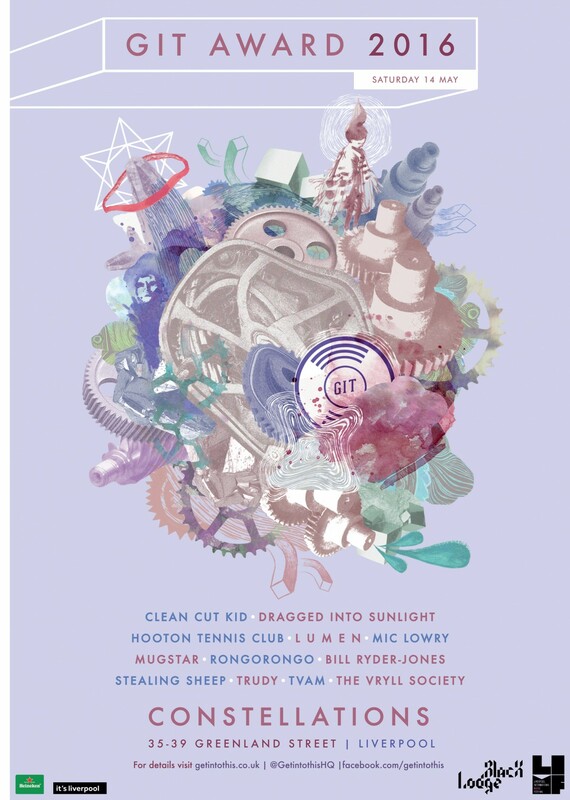 2016 kicked off in similar style with Hooton Tennis Club performing at SXSW Festival in Austin, Texas and a raft of summer festival dates already lined up. Championed by Radio 1’s Huw Stephens and having supported acts such as Frankie and the Heartstrings, 17-year old songwriter Liam Brown is the latest exciting prospect from the LIMF Academy. Having only first emerged late in to 2015, L U M E N is a throwback to 1980s indie icons such as The Cure, a sound which is showcased on his debut track What Will Life Make Of You. 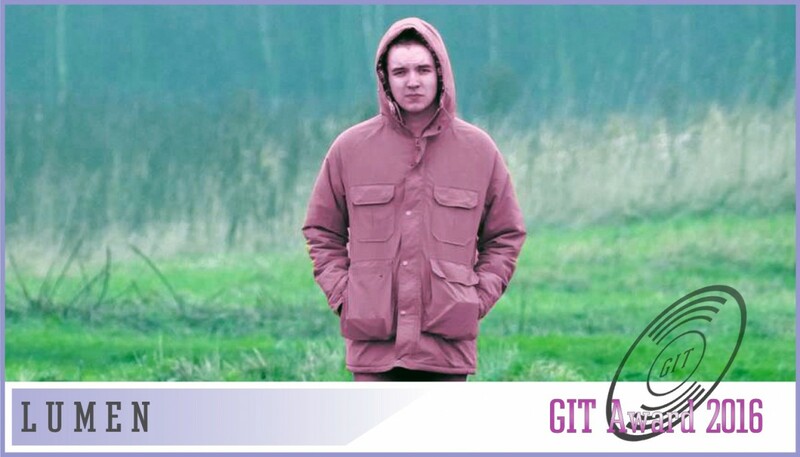 The Aintree-born solo artist has only a handful of live shows under his belt so far but has very much caught the eye of the music world, and has gained slots opening for fellow GIT Award nominees Clean Cut Kid. Mentored by Liverpool soul star Esco Williams, MiC Lowry are fast becoming Liverpool’s next big pop sensations. 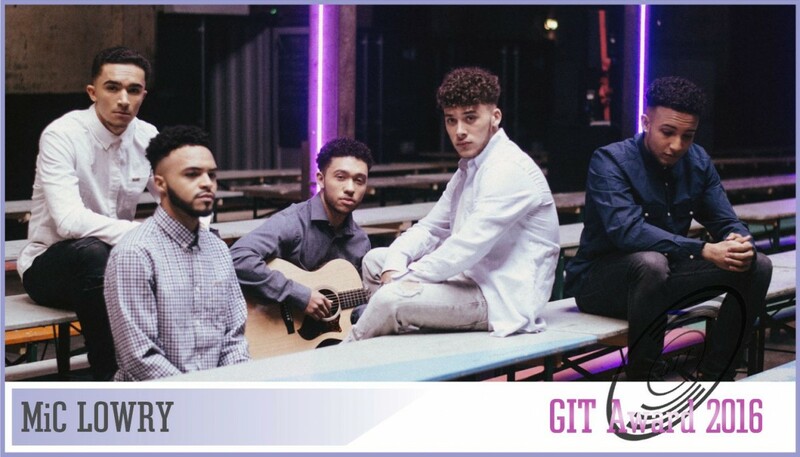 Since forming in 2011, teenagers Ben Sharples, Kaine Ofoeme, Akia Jones, Delleile Ankrah and Michael Welch have followed in the footsteps of their mentor by winning the MOBO UnSung prize for emerging artists in 2015 and collaborated with grime star Wiley on their hit track Super Model (300,000 YouTube plays). Their slick R&B tunes and smooth harmonies have captured the hearts of 130,000 Facebook fans and rising while 2016 looks set to be a big year for the five-piece with a slot supporting Little Mix to look forward to. Psychedelic explorers Mugstar are one of Liverpool’s finest exports from the last decade. In their 13 year career the four piece made up of Pete Smyth, Neil Murphy, Jason Stoll and Steve Ashton have toured across the world, released a split single with Mudhoney and recorded the last ever Peel Session, shortly before the legendary DJ’s death. 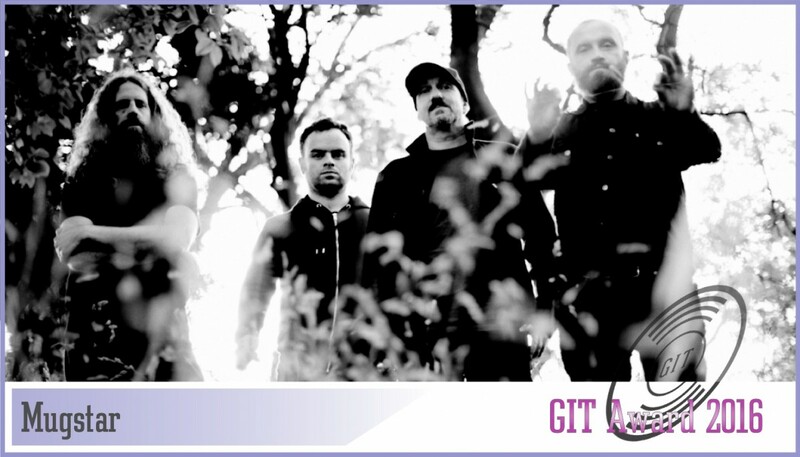 Now their recent eighth studio album, Magnetic Seasons, released on Mogwai’s Rock Action label, has gained plaudits from The Quietus, Piccadilly Records and Louder Than War and has been described as one of their best records yet. The krautrock inspired foursome have since performed on Marc Riley’s BBC 6Music show and are embarking on a European tour. It wasn’t long after their first ever live performance that Liverpool’s RongoRongo were featured in NME’s Radar section, pinpointing them as a new band to keep a keen eye on. Their debut EP, Automatic Hypnotist, released on the burgeoning Merseyside label War Room Records was lauded by Q Magazine, while single Faster was named New Track of The Day by NME. The sinister rock and rollers, made up of Jonny Davis Le Brun, Our Keith, Mick Chrysalid, Philip Chrysalid, Sam Gill and Alex Walker are set to perform at this year’s FestEVOL alongside Steve Mason and Juliette and the Licks. 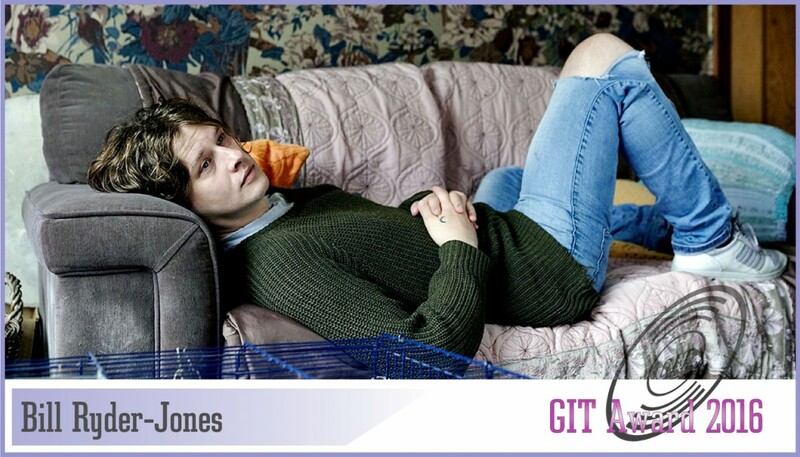 Widely regarded as one of Merseyside’s strongest musical artists, Bill Ryder-Jones released his fourth album, West Kirby County Primary, on Domino Records in 2015 going on to be named as the sixth best record of the year by Mojo Magazine while featuring prominently in best of lists in NME and Q Magazine. The last 12 months saw Ryder-Jones spread his wings even further, collaborating with the Immix Ensemble on a specially commissioned composition exploring his struggles with mental health. 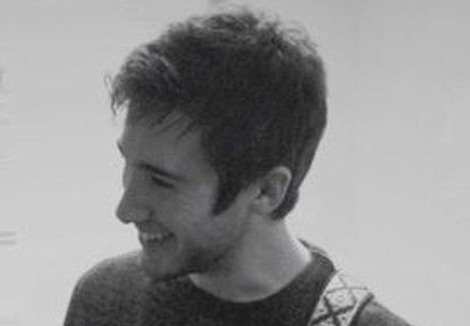 In 2015, he was also awarded backing from the PRS Momentum Fund, and recently released a stunning orchestral arrangement titled No Worst, There Is None. Bill Ryder-Jones is a founding member of Wirral band The Coral, and released five records with the band before leaving in 2007. 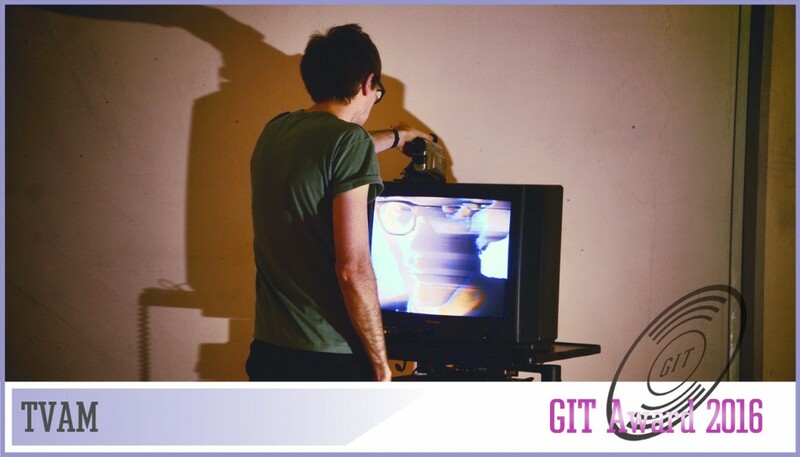 He has collaborated with the likes of Arctic Monkeys and Graham Coxon. He is currently touring the UK on a sell-out headline tour. Rebecca Hawley, Emily Lansley and Lucy Mercer follow in a long and illustrious line of great psychedelic pop acts to emerge from the shores of the river Mersey. Their second album, Not Real, released on Heavenly Recordings early in 2015 capped off what was a huge year for the trio, which saw them perform at David Byrne’s Meltdown Festival, Green Man and End of the Road, as well as touring with Maximo Park and Django Django and featuring in the In Dreams: David Lynch Revisited show. 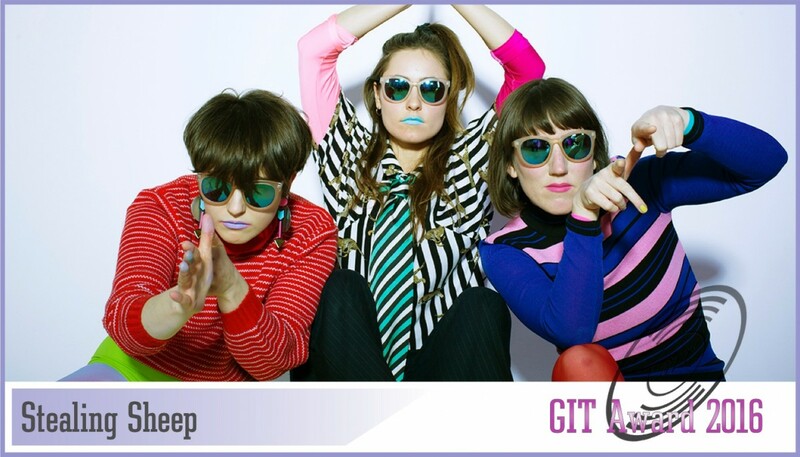 November saw the third instalment of Mythopoeia, Stealing Sheep’s audio/visual immersive experience where they performed their composition and dance performance LEGS. Trudy are a rabble rousing trio, Oliver Taylor, Lewis Rollinson and Brad Mullins, who make 1950s rockabilly-infused mutant guitar pop. 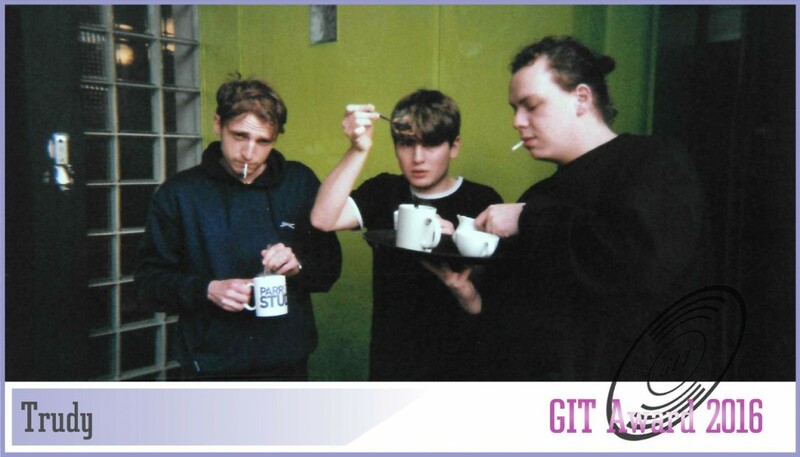 The band, who study at LIPA, have been taken under the production wing of Bill Ryder-Jones while supporting the likes of Hooton Tennis Club at the Kazimier and recently performing at the GIT Award Launch. Their latest track, Behave, was produced by Spring King’s Tarek Musa and 2016 has seen them launch their own headline tour while supporting the likes of Kidwave, Yuck and Bill Ryder-Jones across the UK. TVAM is one man, Joe Oxley. Taking influence from a lifetime of repeats, reruns and reboots, he crafted his own low-budget, high-risk concept. A world in which broadcast becomes performance. Sonic references straddle the spectrum of influence – think Boards of Canada‘s irresistible nostalgia, think Suicide‘s deconstructed rock ‘n’ roll, think My Bloody Valentine‘s infinite noise. After gaining the attention of Clash, Lauren Laverne and Gideon Coe with the single PORSCHE MAJEURE, TVAM will release GAS & AIR on Static Caravan this April. 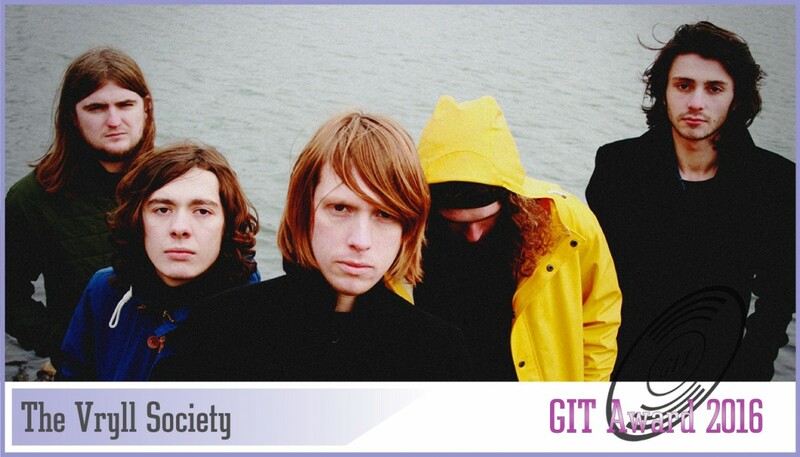 Having released music under a number of different names, Serotonin and the Dirty Rivers, and built a solid following on the Liverpool live scene, the six piece relaunched as The Vryll Society back in 2014 and haven’t looked back. Their debut EP Pangea, released on the rejuvenated Deltasonic Records, showcased the band’s talent for epic, psych-rock voyages and has gained them attention from the likes of Radio X and NME while netting a UK tour support slot alongside Blossoms. 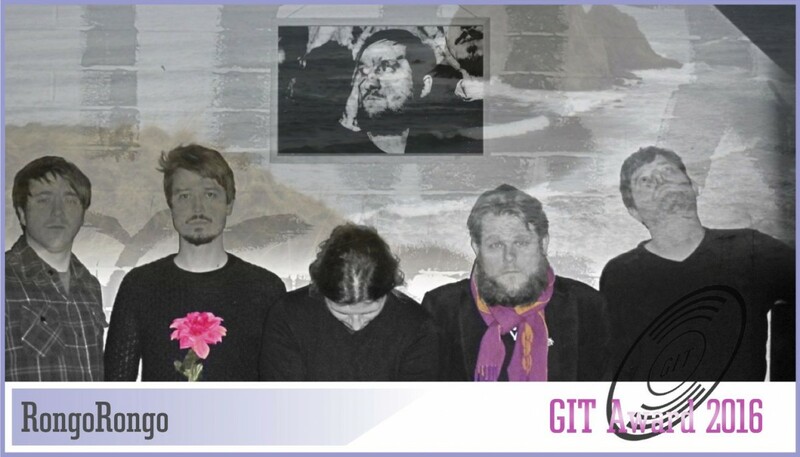 The band also performed at the GIT Award 2015 at the Kazimier in tribute to the late Deltasonic founder Alan Wills.